Transform your living space today with our extensive range of conservatories. View our virtual reality tours for conservatory design ideas and get a free online conservatory quote. View our range of traditional and contemporary orangeries. Get orangery design ideas using our virtual reality tools or start a free, no-obligation orangery quote today. Benefit from more space, more light and more style with our stunning house extensions. View our house extension VR tours for ideas or get an online house extension quote. A replacement conservatory roof can transform your old conservatory into a brand new living space you can use all year round. View our range of glass, tiled and solid conservatory roofs. Our Ultra Installers have an in-depth understanding of conservatories, orangeries and house extensions. 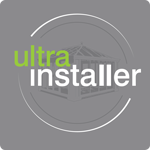 Rather than using a series of expensive experts like architects, builders and electricians that can be stressful to manage, you will be able to use your Ultra Installer as a single point of contact throughout the conservatory extension process: from design to build. They will take care of the red tape too and will deliver the project on time and on budget, having agreed on a price and schedule of works. Whether you’re interested in exploring our range of conservatories, orangeries or house extensions, you’ll benefit from a bespoke design and a product that’s been pre-manufactured to your exact specifications. This means less mess and disruption to your home and garden as everything is assembled much faster than a traditional conservatory extension build. You'll be able to enjoy market-leading standards sooner and easier. Ultraframe’s conservatories, orangeries and house extensions are thermally efficient. This means that more glass can be added to your design, ensuring your home is both warm and bright and can be enjoyed every day of the year from the comfort of your new conservatory extension. We offer you solutions that keep you comfortable throughout the year, no matter what the British weather has in store. Very good efficient service, polite staff and am very pleased with the product. Can certainly recommend this company. I would highly recommend Abbey Windows. I have recently purchased a conservatory and the quality of the products was fantastic. They visited site to measure up and offer advise, produced a 3D drawing for me of what my conservatory looked like and then supplied exactly what we wanted. I would highly recommend them. Fitters very efficient, everything done to the minimal disruption and always cleaned away when left ready for the next day. Very pleased with the windows and doors. Thank you. Absolutely delighted with my windows. Service and customer care were excellent from the first visit to the Kidderminster showroom to the sales/survey visits and the installation by Adam and Tim, who replaced my windows with great care and attention to detail. Superior quality and experience with no pushy sales approach. Absolutely delighted with my windows. Service and customer care was excellent from the first visit to the Kidderminster showroom to the sales/survey visits and the installation by Adam and Tim, who replaced my windows with great care and attention to detail. Superior quality and experience with no pushy sales approach. The High-Tech team gave us excellent service and we are very pleased with the finished product. Making a house a home needs a personal touch, take a look at what we offer to create your own design. Feeling lost? Our expertise will show you the way. “We love our new extension - it has a much more consistent temperature than our previous conservatory, with better sound insulation, and looks 1000 times better – what more can I say!" If you live in Yorkshire and are looking for conservatory, extension or tiled roof advice and inspiration, then this handy guide to conservatories should be a great resource. Read on to find out everything you will need to know about extending your home– from choosing between a conservatory, extension or tiled roof, to choosing a style through to finding the best Yorkshire conservatory installers – it’s all here. We have spent the last 30 years delivering exceptional conservatory and conservatory roof options homeowners across the UK, allowing them to enjoy a more comfortable home time and time again. We have proven ourselves to offer a standard of product and service that stands out, allowing us to achieve BBA certification as well as Which? Trusted Traders approval. We are able to offer the ideal conservatory range for any property style, whether it be a new build or a heritage home. Our conservatory roof systems have been designed to offer contemporary standards of performance and design, and due to their versatility can offer a solution for any budget. They are also quick and easy to install for extra peace of mind. If you're looking for a conservatory, conservatory extension, orangery or conservatory roof that is set to last, look no further than Ultraframe. We pride ourselves on our 'fit and forget' standards of quality, with every product in our range engineered to be strong and robust. You'll also receive a certificate of authenticity from the Ultra Installer who carried out the installation. We strive to offer an attractive design across our products, which includes all of the styles of conservatory and conservatory roofs that we offer. We always stress the importance of light and warmth, which can be the definitive factor in making a house a home. If you're looking for some inspiration, why not take a look at our inspiration section or case studies?